waterways and steep, rocky walls. In 1789, the first version of the Round Falls was constructed (drawing below), but it would be reconstructed several times before it became the 10 foot drop it is today. Henry White bought the mill in 1833. 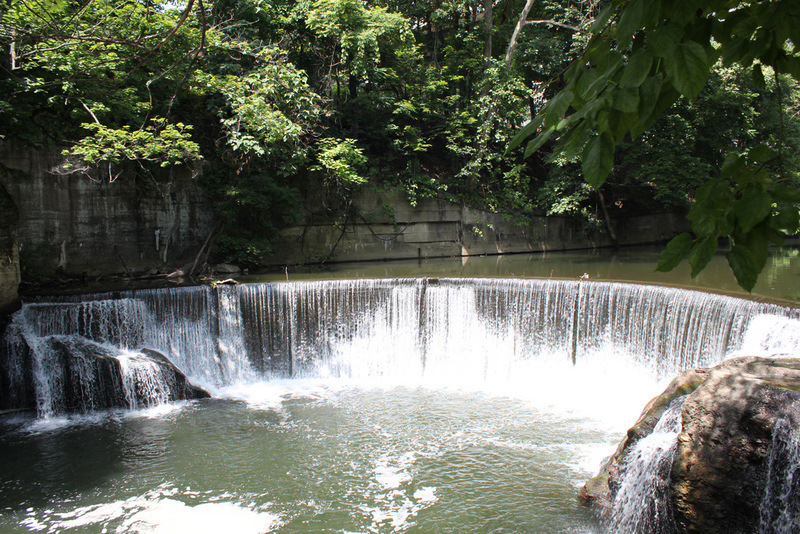 On June 16, 1837, the Jones Falls flooded more than 20 feet past its bank. 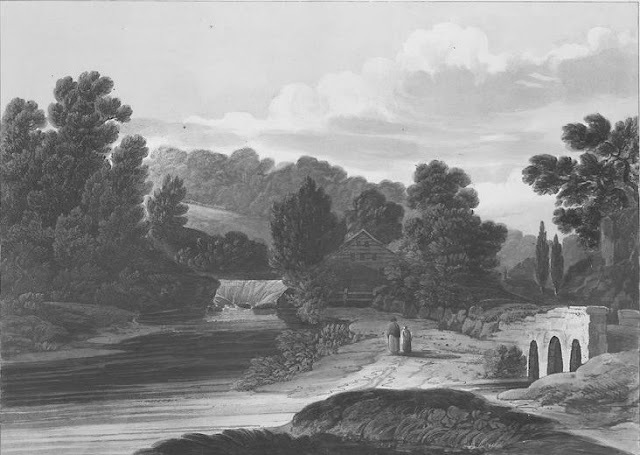 Major mill dams along the stream, as well as the adjoining Falls Road Turnpike, were completely destroyed. 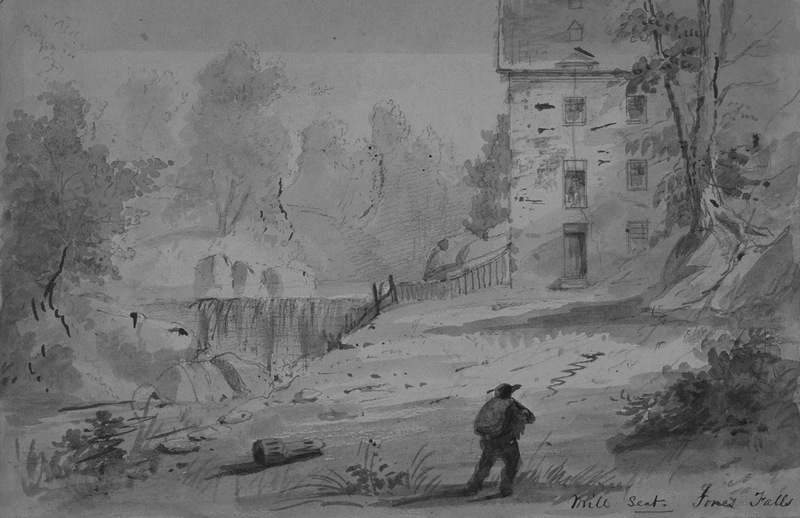 The dam and mill were rebuilt and in business by 1840, when Alfred Jacob Miller made the sketch below at right. The mill and dam fell victim to the seemingly endless floods throughout the 19th and 20th centuries. In 1882, Mrs. Fannie Timanus, the mother of the future mayor E. Clay Timanus, inherited the mill and the two acres of land it was on. 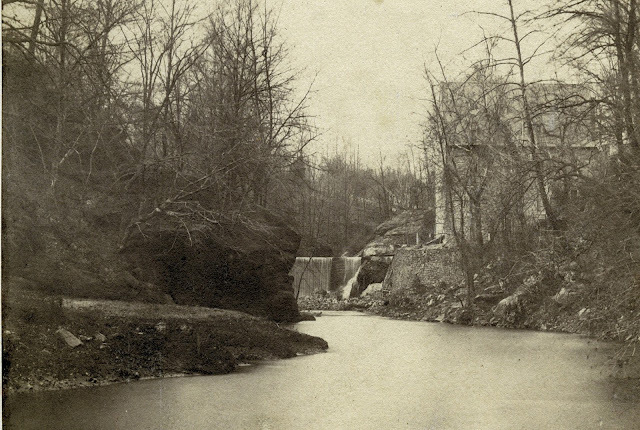 In 1905, Mayor Timanus co-owned the mill with his brother and witnessed the destruction his property incurred from a flood. They again rebuilt both structures (shown below). A photo from roughly 1905. The mill, which once ran day and night, was out of operation by 1915. 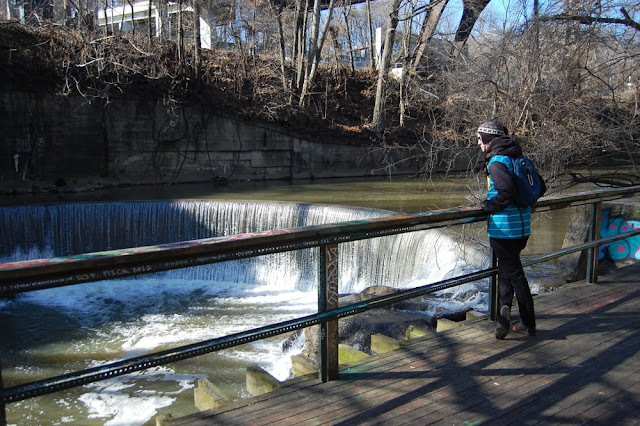 The City once again took ownership for the purposes of flood control, and in 1933, the mill was razed. The Round Falls, luckily, escaped the same fate. Today the Round Falls boast an observation deck and seating area, accessible from the Fallsway (underneath the JFX).